By buying this product you'll earn up to 290 Rewards points. 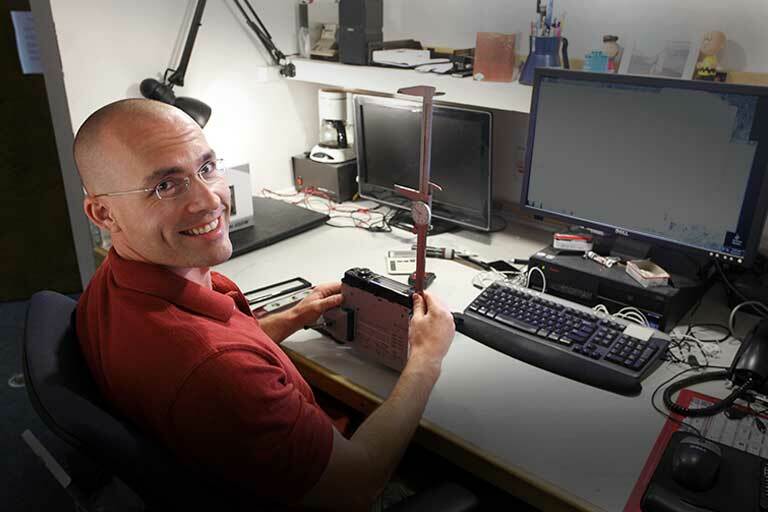 What makes one stylus better than another? The shape and mounting of the stylus — the tiny diamond that traces a record's grooves — is where small changes make a big difference in sound quality. The Audio-Technica VM540ML features an advanced 2.2 x 0.12 mil MicroLine stylus that gets deep into the cut and reproduces the smallest details of the music. 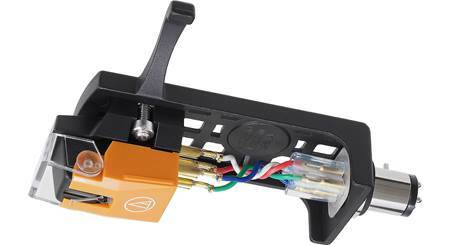 This premium cartridge comes pre-mounted in an AT-HS10BK universal headshell designed to fit a standard 1/2" mount for compatibility with a wide range of turntables. This was an upgrade for the cartridge that came with my Audio-Technica. The sound is crisps and clear from the bass to the highs. Some vinyl now sounds better than the CD version. Headshell/Cartridge Combo Kit: Audio-Technica's VM540ML/H combo kit includes the VM540ML MicroLine dual moving magnet cartridge pre-mounted on the AT-HS10BK universal 1/2"-mount headshell. Dual Moving Magnet Stereo Cartridge: he VM540ML MicroLine stylus cartridge is the premier 500 Series model in Audio-Technica's new VM cartridge line. 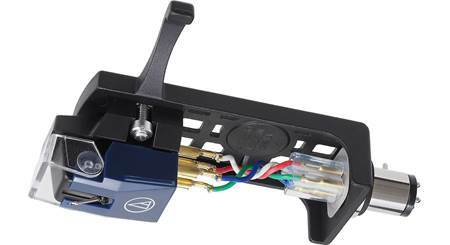 Like all VM cartridges, the VM540ML is equipped with dual magnets that are positioned to match the left and right channels in the stereo record groove for outstanding channel separation and extended frequency response. The cartridge's MicroLine stylus allows it to trace the record groove with incredible accuracy, resulting in nuanced audio reproduction that elliptical and conical styli simply can't match. The stylus' multilevel shape also wears better than other styli, while reducing the wear on your records. 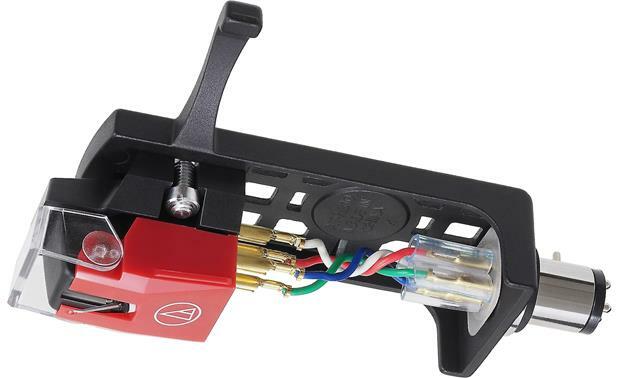 Searches related to the Audio-Technica VM540ML/H Dual moving magnet phono cartridge with MicroLine® stylus and headshell.